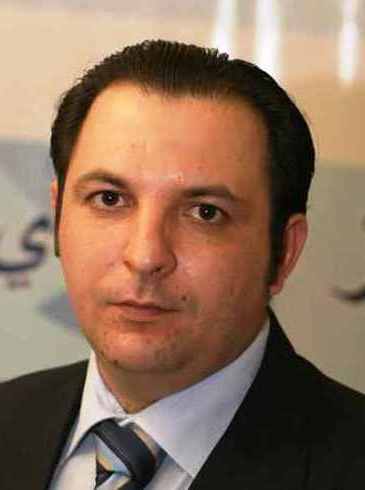 The Syrian journalist and human rights activist Mazen Darwish, president and founder of Hivos’ partner the Syrian Centre for Media and Freedom of Expression (SCM), has won the 2013 Bruno Kreisky Prize for Services to Human Rights. The Bruno Kreisky Award is a biennial award created in October 1976 on the occasion of the 65th birthday of Bruno Kreisky, an Austrian politician who served as Foreign Minister from 1959 to 1966 and as Chancellor from 1970 to 1983. The award ceremony for the Human Rights Prize of the Bruno Kreisky Foundation was held in the State Hall of the Austrian National Library, June 10th 2013 in Vienna, Austria. Yara Badir, Darwish’s wife, received the prize on his behalf. Darwish is still detained by the Syrian authorities since the Air Force Intelligence stormed the SCM office on 16 February 2012. Mazen Darwish and four of his SCM colleagues are accused of “promoting terrorist acts” by the Anti-terrorism Court in Damascus. Darwish worked at the SCM in Damascus for several years, monitoring and documenting violations against journalists and reporting on restrictions to freedom of expression in Syria. “He campaigned for a reform of the press law and made ? ?the international community aware of the disappearance of bloggers and journalists”, the Bruno Kreisky Foundation said. Darwish was one of the main sources of reliable and impartial information about violations against journalists in Syria and the Arab world, in defiance of the repressive Syrian authorities. The Assad regime never stopped targeting him, imposed a travel ban on him in 2007, and has arrested him several times. Mazen Darwish and his SCM colleagues have always peacefully promoted human rights and freedoms, especially freedom of expression. For this reason, Hivos is convinced that the charges against them are politically motivated, brought solely because of their dedicated work as human rights defenders. Hivos is also concerned that the procedures of their court cases do not comply with international standards of fair trial. For this reason Hivos and eighteen other national and international human rights organisations expressed concern for their safety in a joint statement on 15 May, 2013 (see link in right sidebar). Hivos has a partnership with the Syrian Centre for Media and Freedom of Expression (SCM) since the middle of 2010.